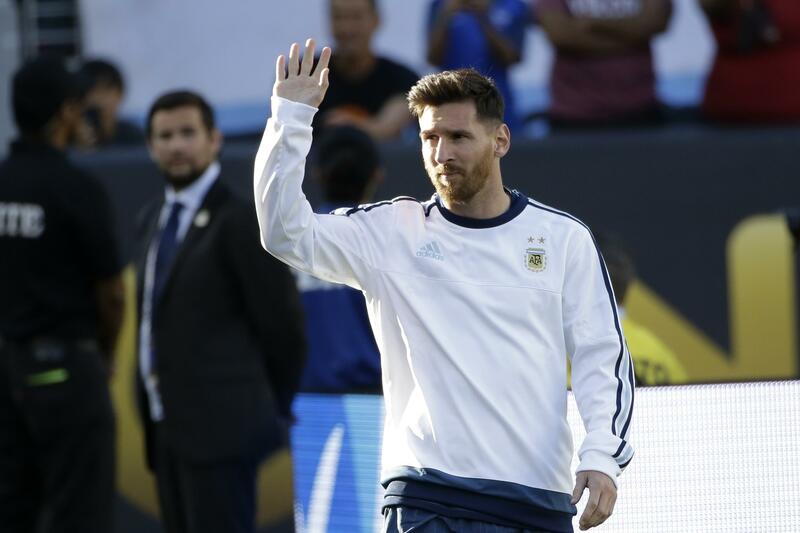 CHICAGO – Lionel Messi is ready to play again. At a key moment, too. Messi is set to return from a back injury when Argentina takes on Panama in Copa America on Friday night at Soldier Field. Messi departed in the second half of a 1-0 victory against Honduras on May 27 with a back and rib injury. The five-time FIFA Player of the Year watched as top-ranked Argentina beat Chile 2-1 on Monday night. Messi has stayed mostly quiet about his status. He said Tuesday on his Facebook page that he hoped to be back to help the team as soon as possible. “He’s doing well. He’s very motivated. … The conditions to which he is coming back to the team are ideal,” Martino said through an interpreter. A winner in Friday night’s match would be in firm control of Group D of South America’s championship. Blas Perez scored two goals, including the winner in the 87th minute, as Panama beat Bolivia 2-1 on Monday to become the first non-CONMEBOL team to win its Copa debut. Messi has not won any major senior trophy since joining the national team in 2005. He cheered from the bench as Angel Di Maria scored and set up Ever Banega’s goal in the victory over Chile. Di Maria decided to stay with the team after his grandmother passed away before the Copa opener. Messi’s return comes one week after his tax fraud trial concluded in Spain. The Barcelona star, who turns 29 on June 24, testified last Thursday and joined the national team the next day. Argentina lost 4-1 to Chile in a penalty shootout in the 2015 Copa America final. It has won the tournament 14 times since 1921. Published: June 9, 2016, 6:40 p.m.